Well, what do you guys think? 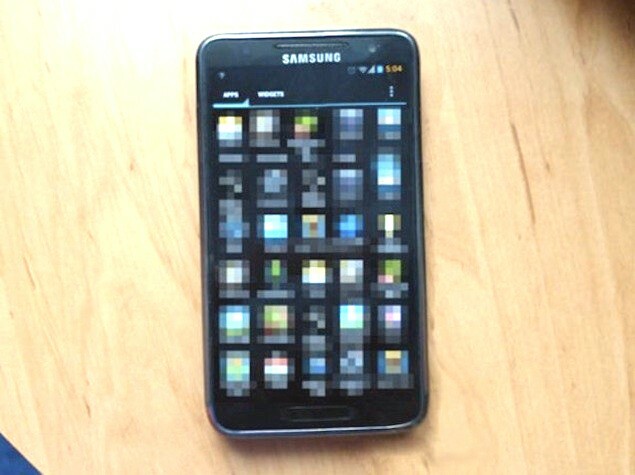 This picture is floating all over the interwebs today as the latest Galaxy SIII “leak.” It certainly looks fake. The top Samsung logo and edge of screen seem to be bleeding together in one bad Photoshop job. And why would anyone make the clock orange, but leave the rest of the notification bar icons ICS blue? What’s with the elongated home button? Doesn’t it really just look like a Galaxy SII variant that has been smeared to appear slightly different? Another valiant effort, I guess.